This is a second life for Billy the Blue-Winged Olive. This time it is a laminated business card with the tracking code displayed prominently on the face of the card and a message on the back. In the first life, this travel bug was a piece of paper inside a film canister, green body, blue top, attached to an actual TB. I launched Billy the first time in Broomfield, CO in July 2010. It disappeared sometime in 2010 after having logged 1,469 miles and six posts. I pulled back the travel bug number and relaunched Billy in GC4652A, The Camo Bug Inn, in Titusville, FL on 13 Apr 2014. I guess there is some slim chance that the original might show up. The Blue Wing Olive (BWO) is found on streams throughout the United States. 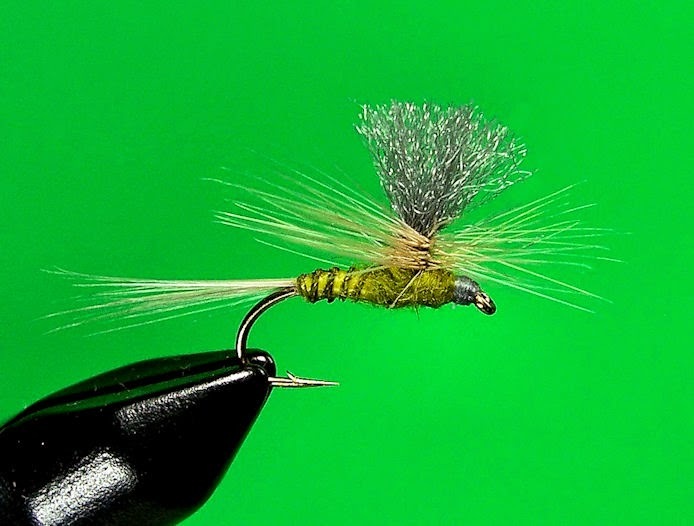 The Blue Winged Olive mayfly is a staple food source on which trout rely year round. If the weather is cold, clammy and wet, chances are good that trout will be actively feeding on blue wing olive duns. During these types of overcast conditions trout will feed during the warmest part of the day, giving anglers a good chance at presenting dries to rising fish. 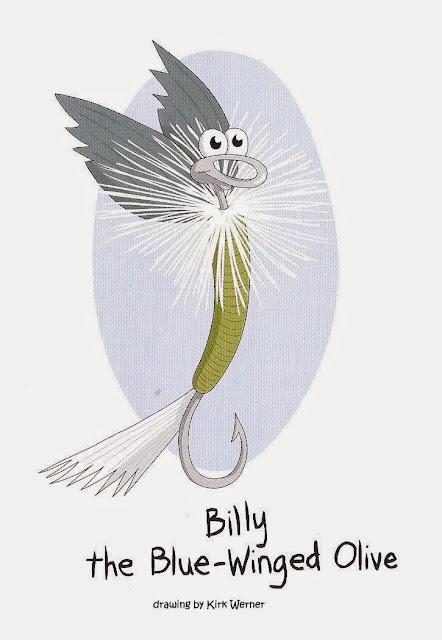 Billy is one of twelve characters created by artist Kirk Werner for three books designed to introduce children to fly fishing.